A parliamentary report of 1777 recorded local workhouses in operation at Durham St Giles (for up to 20 inmates), Durham St Nicholas (50), Crosgate (18), Elvet (20), and Framwelgate (24). St Margaret's.—This chapelry in Durham consists of the townships of Framwelgate and Crossgate. The Poor in both parishes are contracted for : in the case of Crossgate at 2s. 2d. a week each. The bill of fare in the Workhouse is as follows : Breakfast—in summer, bread and milk ; in winter, hasty pudding ; dinner—meat and broth ; since the late enormous price of wheat, no bread has been used ; supper—bread and milk, or hasty pudding and treacle. The Poor's Rates in Framwelgate were about £100 a year 20 years ago ; in 1795 they were £210. In Crossgate the Poor were maintained till 1795, at 1s. 8d. each, now at 2s. 2d. St. Nicholas, Durham.—The inhabitants are chiefly engaged in the woollen trade. The Poor are maintained in a Workhouse and partly at home. There was so great a reluctance in this city to give any information concerning the Poor that this account is necessarily very imperfect. The Poor appear to be very numerous and very necessitous. Table of diet in the Workhouse : Breakfast, every day, hasty pudding and milk ; dinner—Sunday, Thursday, boiled beef, bread and broth ; Monday, Friday, broth and bread ; Tuesday, suet pudding or dumplin ; Wednesday, frumenty and bread ; Saturday, milk boiled with wheaten bread ; supper—every day, cold milk and bread or boiled. City of Durham: St Mary-le-Bow — North Bailey, Little St Mary — South Bailey, St Giles — Gilligate (2), Broom, Crossgate (2), Elvet (3), Framwellgate (2), St Nicholas (3), Shincliffe, Sunderland Bridge. County of Durham: Brancepeth, Brandon and Byshottles, Cassop, Coxhoe, Hett, Kimblesworth, Pittington Hall Garth (3), Quarrington, Shadforth, Sherburn, Sherburn Hospital, Stockley, Tudhoe, Willington. The population falling within the Union at the 1831 census had been 15,550 with parishes and townships ranging in size from Kimblesworth (population 36) to Pittington (3,010). The average annual poor-rate expenditure for the period 1834-36 had been £5,015 or 6s.5d. per head of the population. 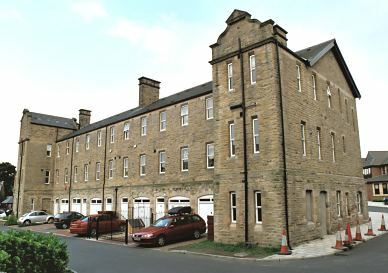 Durham Union workhouse was built in 1837 on Crossgate at the south-west of Durham. It was originally intended to accommodate 150 inmates and the architect was George Jackson. The workhouse location and layout are shown on the 1894 OS map below. Durham administrative block from the south, 2001. In about 1870 an infirmary block and fever wards were added at the west of the site. 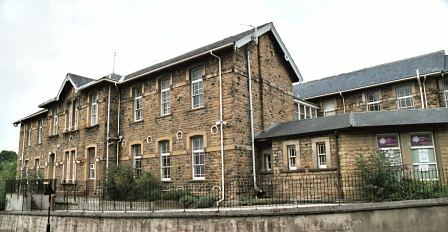 Durham 1870 infirmary from the south-east, 2001. Durham 1870 fever wards from the south-west, 2001. New casual wards were erected at the east of the site in 1875. A block for the infirm was erected at around the same time. Durham infirm accommodation wards from the north-west, 2001. A new dining hall was built in 1891. Durham 1891 dining hall from the south-west, 2001. In 1894, the British Medical Journal set up a "commission" to investigate conditions in provincial workhouses and their infirmaries. Following a visit to the Durham establishment, the commission's report found much to criticise. The infirmary building, although of comparatively recent construction, did not provide adequate separate accommodation for children or "offensive cases". There were no bathrooms, and the water-closets were badly located. Much of the nursing was carried out by untrained "attendants". The commission recommended the building of a new infirmary, staffed by a full complement of trained nurses. Further details are available in the full report. 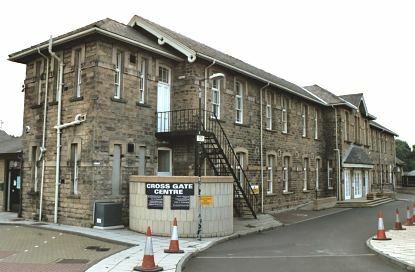 The workhouse later became Durham Poor Law Institution and then Crossgate Hospital. After the inauguration of the National Health Service in 1948, it became St Margaret's Hospital. Some of the surviving buildings have now been converted to residential use, and others are used by local community organizations. Durham Union operated several homes for its pauper children. These included a scattered home for girls at 8 Church Street and one for boys at 198 Gilesgate, with a combined capacity of 32 places. 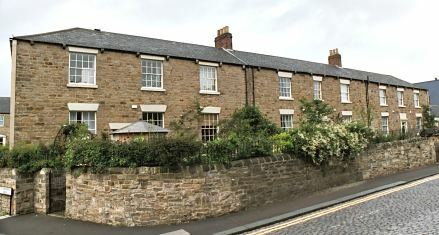 By the late 1920s, these had been replaced by two homes, sometimes referred to as cottage homes, at Redhills Lane, Crossgate Moor, where a total of 48 children could be housed. 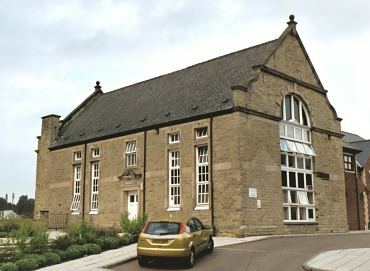 Durham County Record Office, County Hall, Durham DH1 5UL. Limited holdings include: Guardians' minutes (1837-1902, with gaps); Register of inmates (1925-42); Creed registers (1925-40); Deaths register (1866-1914); etc. Fordyce, W (1857), History of Durham .